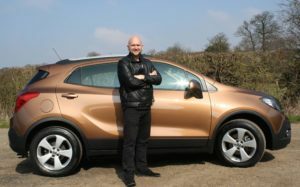 The Vauxhall Mokka has been around since 2013 and was thrust into the UK’s money-making and rapidly swelling compact Sports Utility Vehicle (SUV) segment.When it was launched, the Griffin-badged motor company’s aim was for the adroitly styled, down-to-earth and well equipped vehicle to attract youthful motorists with a dynamic lifestyle. 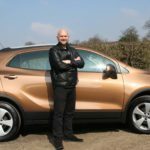 That goal may have shifted somewhat as there are plenty of older people behind the wheel of the Mokka now. And much of that has to do with the ever more efficient and green power units Vauxhall is lowering into the model’s engine bay. The latest, on test here, is the 110ps 1.6 CDTi diesel, in Tech Line, ecoFLEX, front wheel drive guise, costing only £18,614.